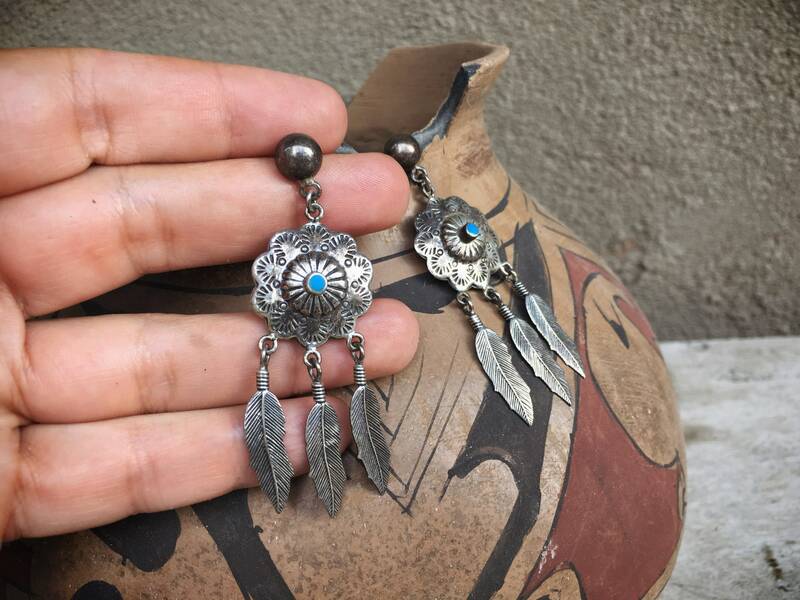 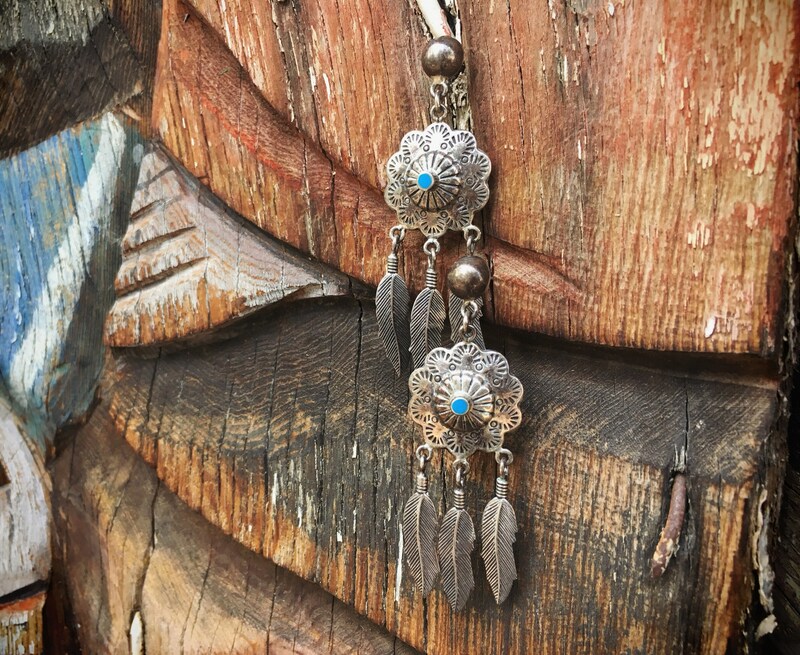 The iconic shield and feather earrings, with small cabochons of blue turquoise and thin silver shields plus three silver feathers--marked 925. 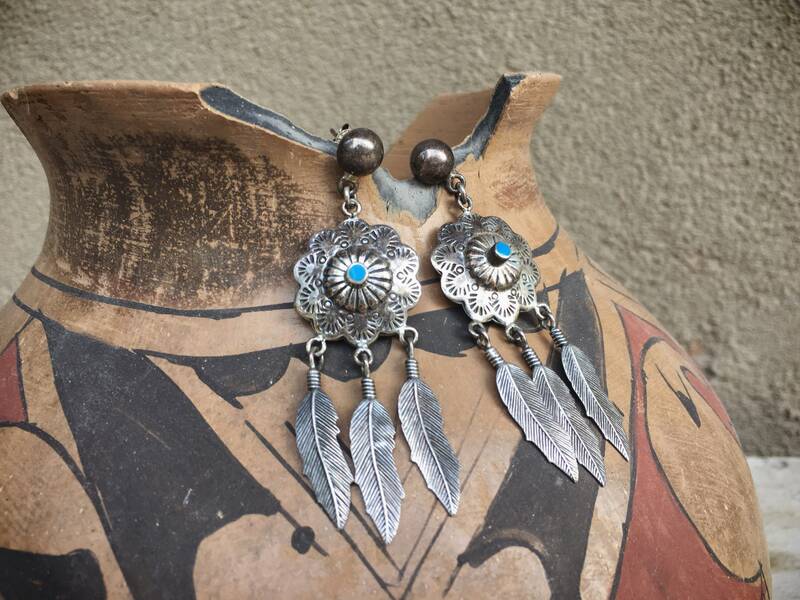 Since these are not signed by an artist, we cannot say with certainty that they are Native American. 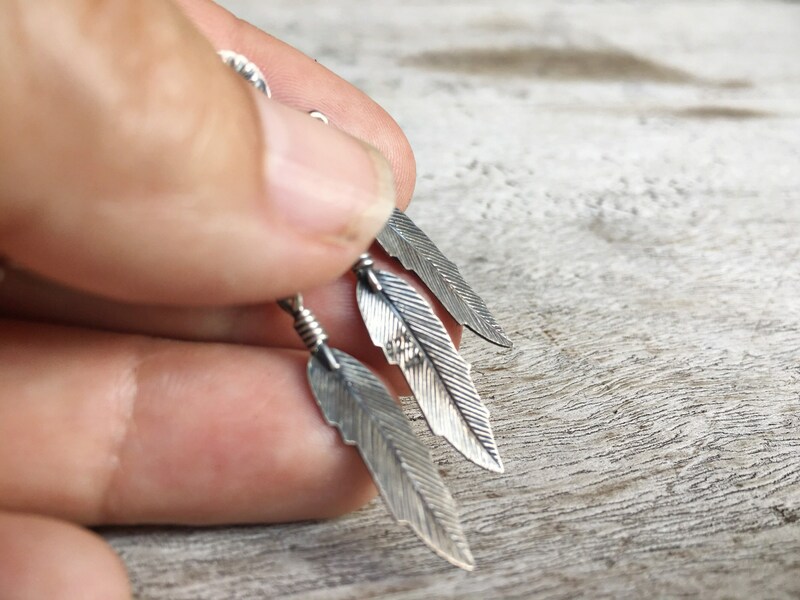 The earrings measure about 7/8" wide at the widest point by 2-5/8" long from the top of the silver shield to the tip of the longest feather. 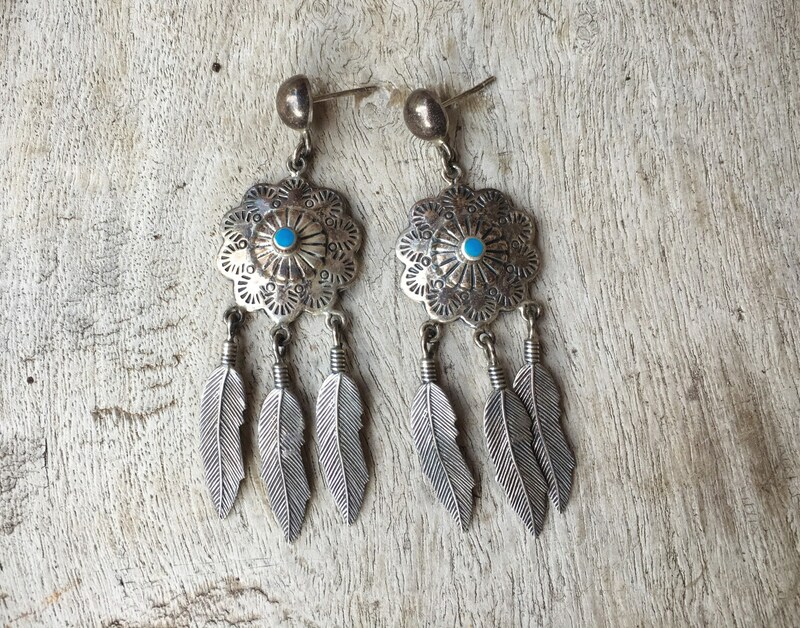 The silver has some tarnish and small scratches on the back; otherwise in good vintage condition. 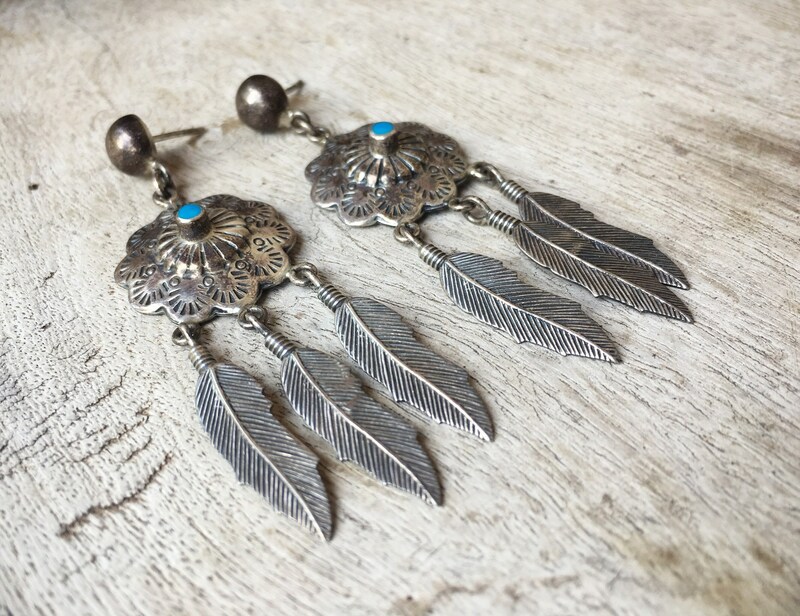 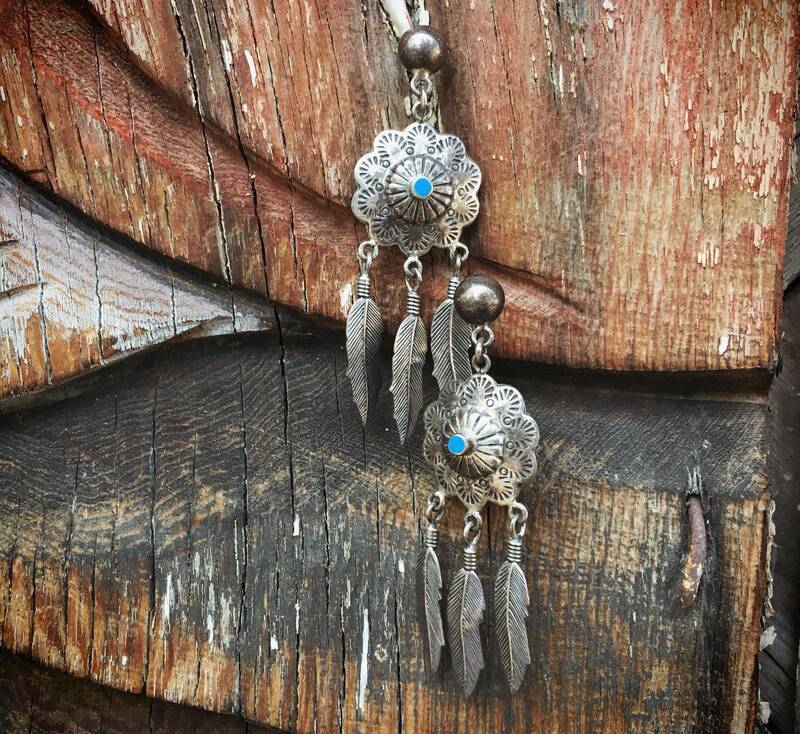 Traditional turquoise and feather design.